This is an index of posts where I discuss rules and house rules. Not much here at the moment, but give me time! 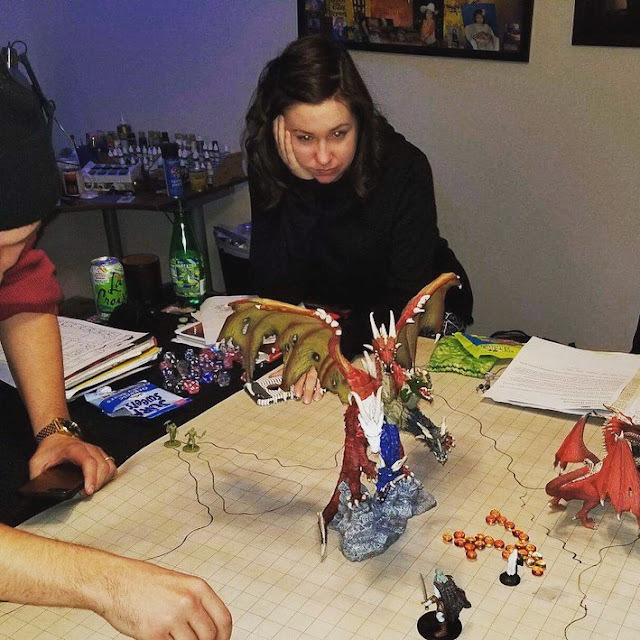 We wrapped up our Rise of Tiamat campaign on a spectacular note: a massive battle with a weakened avatar of Tiamat at the Well of Dragons. I worked on the miniature for weeks before unveiling it, and when that massive chunk of demon queen glory hit the table, the players knew they were in for a fight! Our friend Jeff snapped a picture of my wife with this look of despair, and for 15 minutes or so, she was internet famous. I had people I barely knew who saw this post on Reddit asking me about it; quite hilarious! The miniature itself is absolutely spectacular. For those wondering it's the Mal'Drakar by Reaper and the mini isn't cheap! However, I had a friend who was not interested in painting his, so we made a deal: He would buy me a "miniature" (Should this be called a "megature"?) if I would paint his. I decided painting two of the same model isn't too much extra work, so agreed. I hope someday these letters reach you, hopefully hand-delivered in this journal by yours truly. In my search for Captain Frostclaw, I seemed to have stumbled into a far different land than I have ever heard of. Before you go off berating me for being unable to even read a map, this place is not on any map, nor is the culture like any society we have ever learned about. I doubt even Lanegan, your favorite son, would have been able to avoid a trip to this sullen land. “It looks fun, but I can’t imagine wanting to play anything other than D&D” --a phrase I found myself saying the other day, and then reflecting on how surprised my one-year-ago self would be to hear any version of myself saying that he wants to play Dungeons & Dragons. Yes, past me, Dungeons & Dragons. Deal with it. This is who you are now. 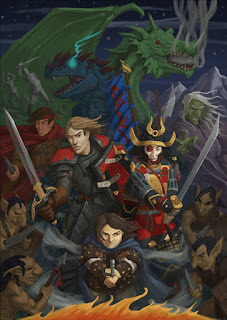 I never thought I would like Dungeons & Dragons. 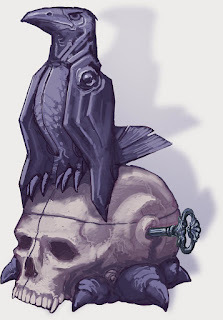 I thought it was just kids playing make-believe and making up rules to go with (or against) the made-up rules of their dungeon master to get through their made-up dungeon with made-up characters with made-up abilities that they made up as they went.